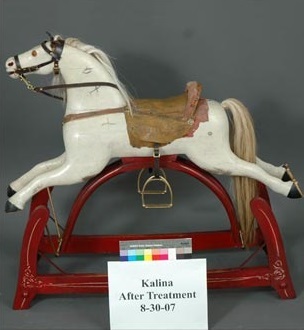 Monochromatic and polychromatic painted surfaces pose special challenges for conservators because of the myriad of materials and techniques used to create the decorated presentation surfaces and the variety of substrate materials all of which are subjected to environmental, usage, and maintenance conditions. 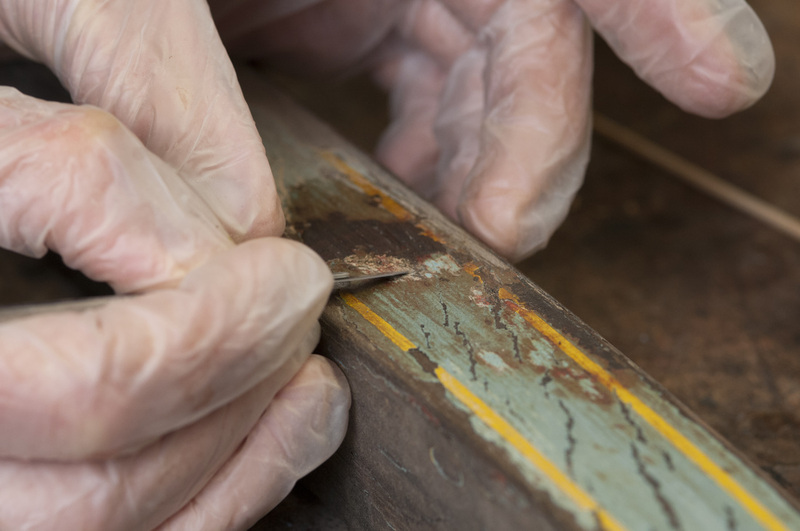 Schuettinger Conservation Services designs treatments which preserve the older and or original coating layers used in the creation of the decorated surface. 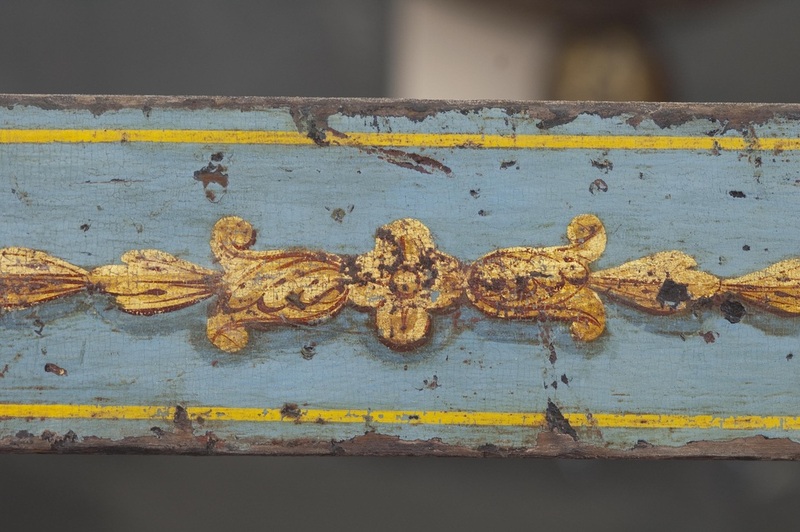 Below are images during the treatment process showing the removal of the second generation rosewood grained and free hand gilt decoration from a 1825 Recamier. 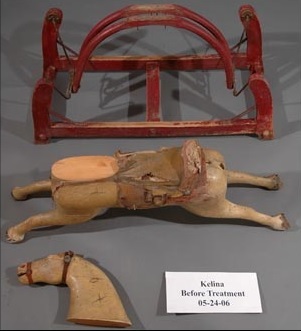 Below images show the before and after treatment of an American or English child’s platform paint decorated dapper grey rocking horse, Ca. 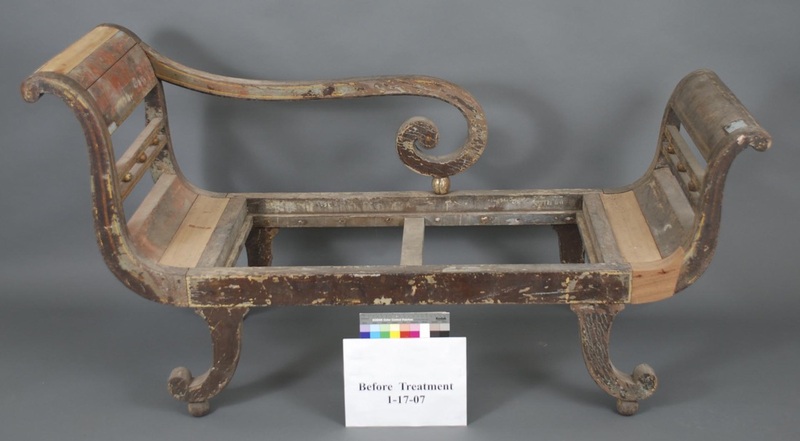 1880 to include loss replacement, cleaning, and inpainting.